She Belongs to Me is a romantic-suspense through and through. The first scene literally starts with a bang, and from there, I take you through the lives of two people destined to be together, but life has a way of confusing the real issues and leading us down a scary path. I’m not giving away any secrets, because you know from the synopsis that my female protagonist ends up in the hospital in a coma; the question is why—or who? From the first chapter: Jordan is in the hospital waiting room, waiting on word of whether his wife is dead or alive. Jordan’s gaze wandered to the locked emergency room doors for the hundredth time in in the last hour. As much as he wanted to call his family for support, he needed to wait. He needed information; he couldn’t just tell them she’d been shot and may not live. But mostly, he knew that homicide would be here any minute. When his eyes weren’t on the ER doors, they were on the sliders leading to the parking lot. The detectives would be here soon, and not only them, but Internal Affairs too. It didn’t matter that he was an officer—his head dropped as he felt the tears well up again. Why would she do it? He just couldn’t believe that Jaynee would have shot herself, but the evidence was clear. It was her gun, and based on where the gun was laying, it was clear she’d been holding it. If you would like to read more, you can download She Belongs to Me at Amazon or Barnes & Noble. Instead of giving one reader a free book, I talked the publisher into discounting She Belongs to Me to .99 cents for everyone, to celebrate the release of my new romantic-suspense, Land of the Noonday Sun, which publishes this week. Thank you for having me again, Maureen. I hope you and your readers enjoyed my deleted scene from SHE BELONGS TO ME. It is always fun to visit with old characters, as they seem to feel like family after you've worked with them for so long. Thank you, Tammy. I hope if you have time for a new read, you will check She Belongs to Me out, The publisher discounted it to .99 cents through the end of May to celebrate my new release. Such a great book this was! I love reading the deleted scenes from it too - sort of like those extras on DVD's for movies. I plan to go back and reread this story soon. I liked the deleted scene you revealed earlier with Jaynee's email. Can't wait for your other books, Carmen! Thank you for the deleted scene. 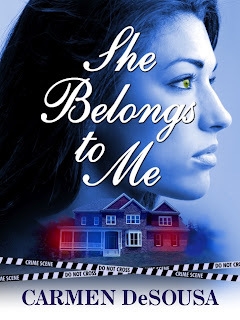 I enjoyed it so much I just purchased She Belongs To Me for my Nook. 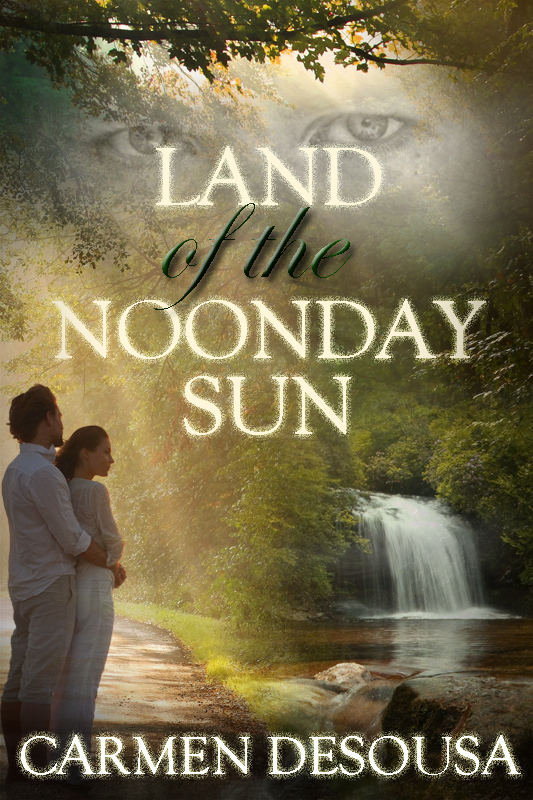 Will Land Of The Noonday Sun be available for the Nook? Thank you, Mary. Yes, the publisher trys to work out any formatting bugs at one site before going to the next, but it will be available very soon. Thank you again, Mary, and I did want to let you know that LAND OF THE NOONDAY SUN is now available on Nook. I hope you are enjoying SHE BELONGS TO ME. I am reading "She Belongs to Me" & thoroughly enjoying it. I have just suffered a death in the family so it will take me awhile to get to the review. I can see that you had a lot of fun writing it! Thank you for commenting, Janet, and sorry to hear about your loss. I definitely appreciate reviews, so thank you.